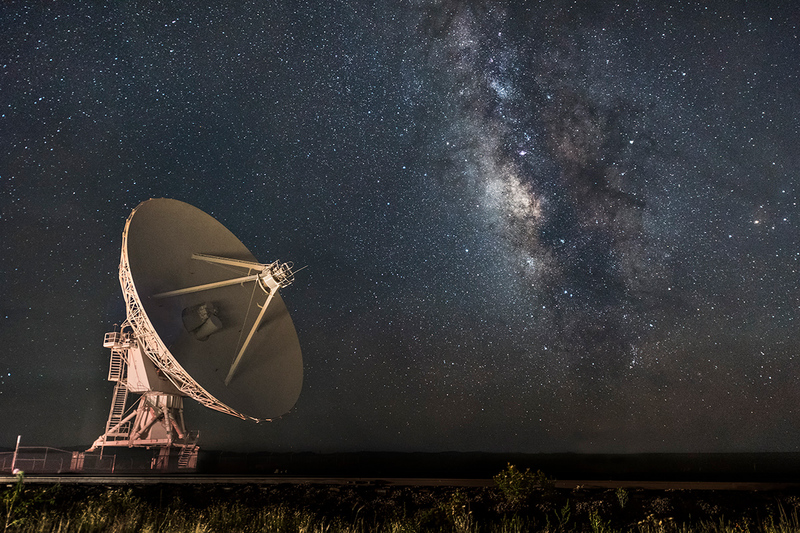 I took this image on my own at the Very Large Array of radio telescopes near Socorro, New Mexico. It is my favorite because it was the first time that I was able to independently envision a nighttime picture and have it come out exactly like I had envisioned. As a side note, the illumination of the telescope was provided by the headlights of the security vehicle that had come out to check up on me. The security person let me stay to take more pictures. See more of Michael’s work by visiting his website.